IT is 16 years since Alex Brewster started performance recording and this makes him something of a pioneer. Even now selecting ewe replacements using Estimated Breeding Values (EBVs) is a rarity in most traditional breeds. The work continues, but now Mr Brewster has moved to the next stage and is giving far more thought to improving the grazing strategy on the 3,500 hectares (8,650 acres) he farms with his wife Jane and parents Alistair and Morag on the hills north of Dunkeld. 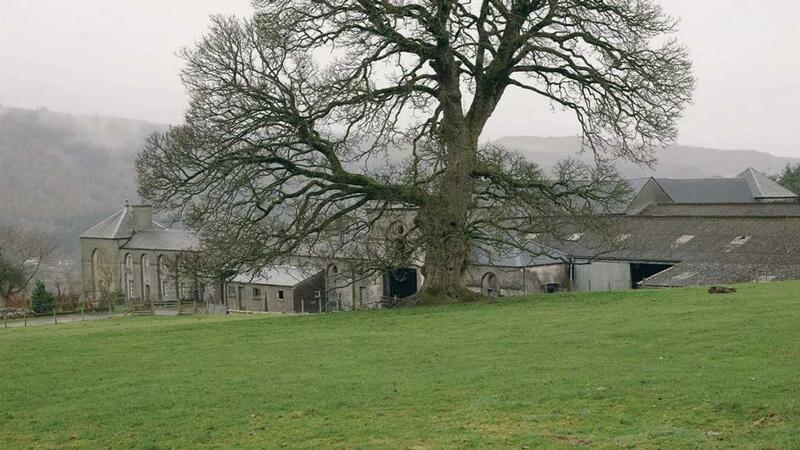 The business is based at Rotmell, a tenanted farm on the Atholl Estate, but includes another management agreement on the neighbouring Riemore Estate. He says: “Of the 3,500 hectares, about 90 per cent is hill with a lot of heather and rock, but I see the potential to double our output from grass through greater use and control on the lower ground and above the hill dyke. I have 500 hectares earmarked for hill paddocks and this will be part of the next drive to improve our grazing. The project has set Mr Brewster on a major programme of improvements to his grazing management, all based on paddocks. He says: “The limiting factor is how quickly we can build fences. On the improved pastures I am creating 3ha paddocks and above the hill dyke we will make them 6ha. The whole grazing group experience had an unexpected spin-off for Mr Brewster. He soon found there were limitations in the fencing equipment available in the UK and set off on a global search for better solutions. This inevitably led him to contacts he already had in New Zealand. 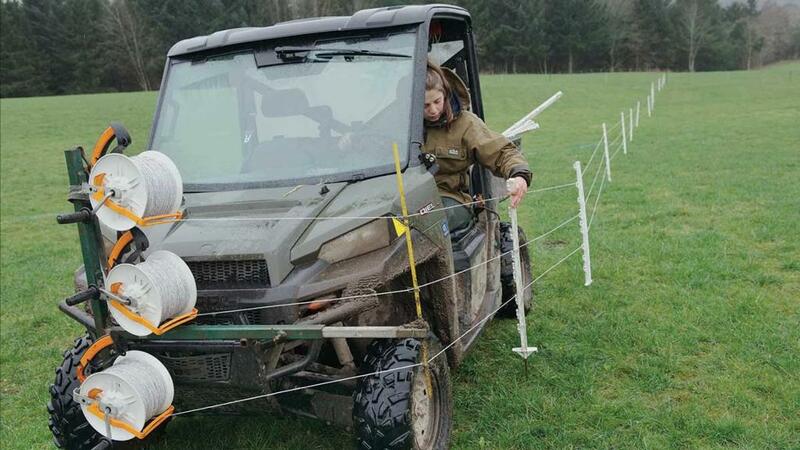 The result is he has now formed Powered Pasture, a new company set up to supply others of like mind, including members of the grazing group, with equipment including a novel diamond gate system to allow for quick movement of stock between paddocks. As part of the service, Mr Brewster’s wife Jane, an architect, is able to supply paddock plans. The move to a paddock system began in 2012, partly by accident, through the farm’s cattle enterprise rather than its sheep. The summer that year was wet, as it was across the whole UK, making it difficult to conserve enough fodder. Mr Brewster realised he would need to shut off extra fields for silage and he consequently had to move his cattle about more. His yearlings had been gaining an average of 1.2kg per day when they were set stocking but this went up to 1.5kg/day even though they appeared to have less grass. He says: “What changed? All we had done was move them from field to field more often. 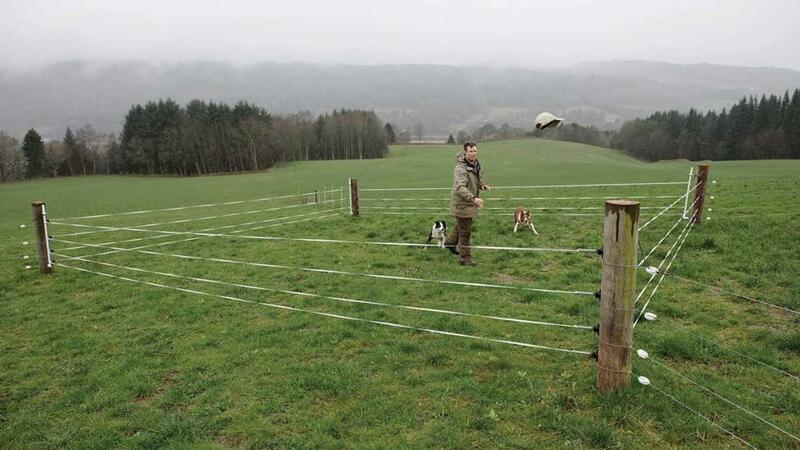 “Afterwards Michael Blanche asked me to host the Perthshire grazing group and I jumped at the chance to give it a go. Using the sheep as an example we have now been able to make more of the improving genetics. We had already improved weaning weight of the Blackface lambs by 3kg but using paddocks we are now there 20 days earlier. “It is a management improvement focused on the feed value of grass and constantly moving stock to fresh paddocks. Understanding the botany of the plant has made the biggest difference. Spring calving cows and their calves are ideal for this pasture management role so numbers at Rotmell are increasing from 70 to 150. At the same time the 40 autumn calving cows are to be sold. Despite the step change in flock performance Mr Brewster does not regret the years he spent on genetic improvement with his Blackfaces. The emphasis has always been placed on commercial traits, particularly lamb survival and muscle depth. Enhancing the percentage of lambs reared and increasing the killing out percentage is part of the continuing drive towards more self-reliant and efficient stock. Mr Brewster rarely buys a tup, preferring to breed his own and move them between five performance recorded ewes families, each about 200 strong. He runs 1,950 Blackface ewes in total. 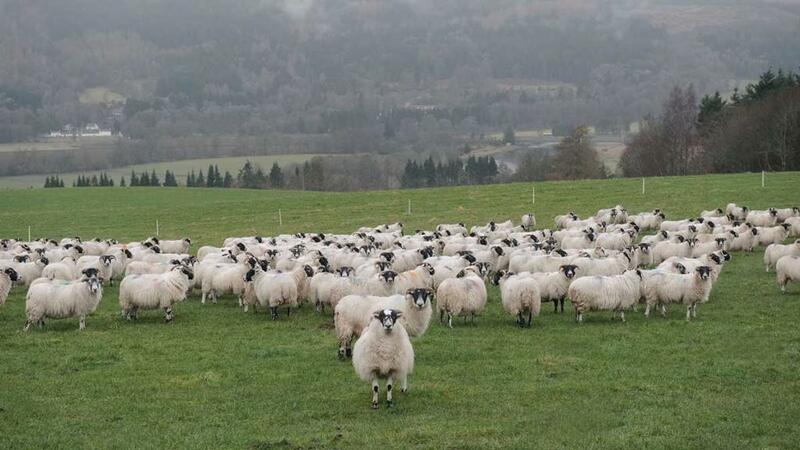 A study tour to New Zealand several years ago convinced Mr Brewster he needed a nucleus number of at least 1,000 ewes to create the selection pressure need to find the more robust genetics. For the first time last year’s spring calf crop has been transported down to coastal grazings at Glenluce, Wigtownshire. They left winter housing at Rotmell in early February and will return in May having hopefully gained about 100kg. The thinking is by getting then out to grass sooner this will reduce the store period, get through the change of environment check sooner and drive a far higher growth rate at grass for longer. The aim is to have them weighing 600kg at 18 months having averaged more than 1.1kg day from birth. Meanwhile their mothers are being wintered on the hill before coming back into a wood chip corral near the farm buildings. They are fed a total mixed ration for the last six weeks including silage in the run-up to calving. The ewes spend early spring being mob grazed in improved pasture before being dispersed at low density over the paddocks for lambing in April. Only a quarter of the Blackface ewes are crossed with terminal sires and the target is for the lambs to reach 30kg at 100 days. Summing up his philosophy Mr Brewster said: “Livestock farming is about producing red meat protein. Too many breeders have a fascination for fashion over function. We have direct access to one of the wealthiest economies in the world, but how often do we consider what the consumer wants? Consistently great red meat is the answer. “We have a payment system which does not directly reward taste and tenderness and most seed stock producers do not consider eatability, so why do we wonder about not getting the economic rewards we deserve? We have phenomenal unique selling points but we are not doing enough to sell our produce. “A good grassland system is carbon management in action. It drives carbon back into the soil and this helps stabilise the planet. After all, a root system is an ecosystem in itself. How many other products can market that? Mr Brewster is currently mid-way through a Nuffield Schloarship sponsored by the MacRobert Trust. He is to report on the factors which drive profitability and sustainability on hill farms around the world. It is clearly something he has already given a great deal of thought to on his own farming operation.